A snowy good afternoon to everyone. The skies have cleared over Stamford. I'll be "going solo" in leading tonight's Kabbalat Shabbat at 7:30. Given the dangerously low temperatures expected outside, we'll go at a faster pace than usual to get everyone back to their warm cocoons as soon as possible. Join us tonight and tomorrow morning too, and on Sunday at noon to hear more about the 2014 TBE Israel Adventure! Our group projects to be about 30 people thus far - we have room for a few more! If you've never been to Israel - or it's been a long time, now is your chance! At the bottom of this email, I've listed 25 reasons why every Jew should visit Israel. This was a big week on the pluralism front in Israel. You can read about a number of significant happenings, such as how for the first time in history, the state of Israel began paying the salaries of Reform rabbis, at the Religion and State in Israel blog (one of my favorite news feeds). 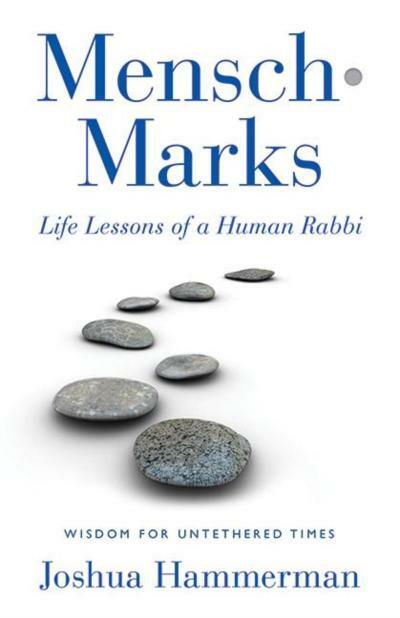 You'll also read there about a member of the Knesset and deputy religious services minister, Rabbi Eli Ben-Dahan (Habayit Hayehudi), who, in an interview for Ma'ariv, explained that "a Jew always has a much higher soul than a non-Jew." This attitude is, unfortunately not so rare among certain Jewish groups, in Israel and elsewhere. But that does not make it right. I suppose we can take comfort in Ben-Dahan adding that Gay Jews have 'higher souls' than gentiles. Imagine for a moment that the religious affairs minister in some democratic country - England or Switzerland for example - were to make a public statement that "the souls of all Christians are superior to the souls of Jews." Would Israel not make a fuss? Would not the ADL and the Weisenthal Center cry out in protest? Would not Jews in that country demand the immediate resignation of such an official? But we Jews have become numb to this evil, far too accepting of outright racism in the name of some tribal compulsion that demands that we hush up about anything that might make us appear disloyal to any Israeli leader. Last week I saw the highly acclaimed film, "Twelve Years a Slave," Solomon Northup's searing account of his twelve years in southern chains. In "Schindler's List" fashion, this movie pulls no punches in showing how America's "peculiar institution" corrupted everything in its wake. No one was immune to this plague. Even the victims became numb to the suffering of others even as they struggled to maintain their humanity. One leaves this film wondering aloud whether the American experiment was worth starting at all, given the compromises that had to be made regarding slavery right from the outset. Did the end, having a nation freed of British rule, justify the means, perpetuating this abhorrence of rendering human beings subhuman for an additional century? Some movies leave you hanging. In one excruciating scene, as the main character literally is left hanging, everyone goes about their lives as if nothing as if a man isn't writhing in pain just in front of them. It is as powerful an indictment of slavery as you will ever see. And as such, it is an indictment against America itself. Are there actually people who still wave the Confederate flag proudly? Are there actually people who look nostalgically back to the yore of Dixie? Was our country actually responsible for that crime against humanity? We need to look our failings squarely in the eye. "Twelve Years" does that for America, and Ari Shavit's, superb new bestseller "My Promised Land," is doing the same for Israel (while also acknowledging the difficulty of Israel's besieged position). I recommend that each of us read Shavit's book and watch last year's Oscar-nominated film "The Gatekeepers." In the spring, I intend to lead a discussion about Shavit's book, along with Yossi Klein Halevi's new book, "Like Dreamers." Israel grapples with the moral dilemmas posed by occupation and the security risks of giving it up. These are enormous issues, and we American Jews need to grapple with them too. Occupation has been morally corrosive to Israeli society, though not nearly as destructive as slavery was here or apartheid in South Africa (I saw "Mandela" too - quite a week I had!). But corrosive nonetheless. Jews were slaves in Egypt, according to tradition, for 400 years. That's a lot more than twelve. And in that time, we picked up some bad habits. In this week's portion, the Israelites gain their freedom at last. But not without moral dilemmas of their own - even God is implicated in some of them, such as the despoiling of the Egyptians and the mass carnage at the Red Sea. Tomorrow at services we'll take a look at this and see also how 400 years of slavery sensitized us to the plight of the other, but didn't immunize from the toxicity of power. The pernicious doctrine that Jewish souls are higher than other souls is a perversion of these Jewish teachings and should be denounced as a dangerous heresy. It is dangerous because any such teaching of superiority of one group over another leads to actions in which humans can be treated as inferior, as less than human and eventually can be disposed of as well. We have suffered from this ourselves, and teaching it to our children will only lead to Jews treating others badly, as indeed has already happened. It may be that others who held prominent positions in our governments have held the same view as Ben-Dahan, but at least they never uttered it in public. By doing so, Ben-Dahan has rendered himself persona non-grata and should have the good grace to resign. If not, he should be told to leave. We are constantly asking others to condemn those who speak disparagingly of Jews or Judaism. We have asked more than one pope to change the liturgy so as not to show Jews in a bad light. Should not we ask the same thing of ourselves and denounce any Jewish teaching that demeans non-Jews? Israel must not be in a position in which others can point to us and say, "Look what your government is teaching about non-Jews before you complain about what others are saying about you." You can read Solomon Northup's entire book, here online. Here is a brief excerpt, which brings me to tears just to cut/paste it. Who among us can call ourselves American and not be overcome by shame? Finally, he ceased whipping from mere exhaustion, and ordered Phebe to bring a bucket of salt and water. After washing her thoroughly with this, I was told to take her to her cabin. Untying the ropes, I raised her in my arms. She was unable to stand, and as her head rested on my shoulder, she repeated many times, in a faint voice scarcely perceptible, "Oh, Platt-oh, Platt!" but nothing further. Her dress was replaced, but it clung to her back, and was soon stiff with blood. We laid her on some boards in the hut, where she remained a long time, with eyes closed and groaning in agony. At night Phebe applied melted tallow to her wounds, and so far as we were able, all endeavored to assist and console her. Day after day she lay in her cabin upon her face, the sores preventing her resting in any other position. A blessed thing it would have been for her-days and weeks and months of misery it would have saved her-had she never lifted up her head in life again. Indeed, from that time forward she was not what she had been. The burden of a deep melancholy weighed heavily on her spirits. She no longer moved with that buoyant and elastic step-there was not that mirthful sparkle in her eyes that formerly distinguished her. The bounding vigor-the sprightly, laughter-loving spirit of her youth, were gone. She fell into a mournful and desponding mood, and often times would start up in her sleep, and with raised hands, plead for mercy. She became more silent than she was, toiling all day in our midst, not uttering a word. A care-worn, pitiful expression settled on her face, and it was her humor now to weep, rather than rejoice. If ever there was a broken heart- one crushed and blighted by the rude grasp of suffering misfortune-it was Patsey's. We Jews have lots to teach the world about how to live by a moral code that stresses that all humans are created in God's image. But before we teach the world, we need to teach ourselves. That, ladies and gentlemen, is why we are here. Check our upcoming bulletin and other announcements for a plethora of January events. Of special note is a showing of the film "Journey of the Universe" on Jan. 14, with guest speaker Teresa Eickel of Interreligious Eco-Justice Network. It's one of the most inspirational spiritual films I've ever seen, and yet it hardly mentions religion at all. See more information here. A wine and cheese reception for young couples, the premier event for our new Young Adult Couples group. If you know of a young couple in our area, (member, non member, child of a member, including interfaith couples, married, unmarried, straight, gay,) let us know so we can invite them personally. As for age range - we'll let you determine that! Our goal is to be as inclusive as possible. Also, we've got some great Shabbat programming coming up, including a new series of Learner's Services, where a key theme of contemporary Jewish life will be wedded to both the portion of the week and a prayer from the liturgy: Shabbat Conversations: Parsha, Prayer and Purpose. The first one is next week. Also next week, on Friday night, we'll continue the series "This American Jewish Life," with TBE congregants sharing perspectives on their life journeys. We'll be hearing hear from a TBE young adult who has confronted the demons of addiction and recovery. Here are 25 reasons culled from various sources. 1) Visiting Israel takes you higher. It heightens your senses. It heightens your awareness. It heightens your sense of self. It heightens your faith. And it heightens your sense of identification with a land, thousands of miles away, a land that is so very dear to us all. Experience Jerusalem, visit Tel Aviv, float in the Dead Sea, tour the Negev, visit Safed, the highest town in Israel, one of the four holy cities of Judaism. Drive into the Galilee hills and ascend up to the Golan. 2) Meet the Family. Israel is filled with unforgettable places, but ultimately what will make this trip so special will be the people that we'll meet - the ones in the country and the ones in the group. I can think of no group with whom I would rather share these precious days than all of you. (3) Feeling the serenity of Shabbat in Jerusalem. (4) The sense of community that exists everywhere, from people annoyingly telling you not to cross the street on the red light (would they bother to do that here? ), to the calls you get after every terror attack - to inform you, to console you, to include you. (5) To show unity and support. (6) Because it's our home. (8) To get back to our "roots," smell the air and feel the dirt of our ancestors. You can feel the history come up through the soles of your feet. (9) When I walk anywhere in the country, I always feel that I'm "home." When I've traveled anywhere else in the world, and even where I live, I'm still part of a minority. In Israel, I'm part of something much more - I belong to a vibrant, dynamic, friendly society that has made its own modern history of success. (10) Seeing the accomplishments of the Israelis . The desert has become alive with bustling cities, and a thriving economy. Visiting Israel now becomes an important statement of support for Israel, and a denial of the philosophy that "fear" will make the Israelis leave. (11) Everything is better in Israel. Personal relationships are very real and very caring, the air smells better, the food tastes better, the sky is clearer, the birds are happier. (12) The shwarma at Maoz on King George Street, the shwarma at Masov Burger near the central bus station, to talk to the people who make shwarma, and to see the lambs that become shwarma. (13) The feeling I experience at the Western Wall. All of life's idiosyncrasies become smaller when you are engulfed by what's most important and special. (14) Eating falafel and hummus in Machaneh Yehudah on Friday. (15) Because you haven't been there yet! (16) To raise the spirits of the Israeli people. (17) The Bible just comes alive. (18) To see that Jewish people come in all colors, shapes and sizes and can hold all kinds of jobs......from doctors and lawyers, to police and street cleaners. (19) To feel connected in the present to past and future at the same time. (20) The scenery is unparalleled when standing at the Dead Sea (lowest point on earth) and then directly above it at the top of Masada. The unplanned tears that come down your face as you experience the pain of what was lost, but yet the hope of what will come promised through the prophets long ago. It is so awesome beyond words, that when you depart, you cannot say goodbye, only that you will be back. There is an unseen force that draws you in and assures you that you will be back again, it's where you belong, it's home. (21) The incredible sense of unity. Being in Israel makes you feel connected to everything and every person on earth. (22) To see true permanence. As Mark Twain said, "All things are mortal but the Jew." In Israel, you can see buildings that were around thousands of years ago, and what could easily be around thousands of years from now. In America, nothing goes back more than a few hundred years (except for a few Native American sites), but those don't compare to places that are all over Israel. (25) Because WE'RE GOING! Our group is growing and waiting for YOU! CLICK HERE for the full itinerary for next summer's TBE Israel Adventure.